For years, Western newspapers have depicted the BRICS grouping – comprising Brazil, Russia, India, China and South Africa – as either nonsensical or threatening. Indeed, after Brazil and Russia entered recession and growth in China slowed in recent years, Washington-based observers predicted the initiative’s imminent demise. Well, they’re wrong. This past weekend, national leaders gathered in Goa for the 8th BRICS Summit, showing that BRICS countries have not only continue to exist as a bloc but are, in fact, strengthening their cooperation. The group has begun to institutionalise, holding regular ministerial meetings in areas such as education, health and national security. And there are frequent encounters between BRICS presidents and foreign ministers. Perhaps most notable is the creation of the BRICS-led New Development Bank, headquartered in Shanghai, and the contingent reserve agreement, which creates a safety net for times of financial crisis. It will automatically provide liquidity for any member country facing financial distress. Some had suggested that the political shift in Brazil – from the centre-left Workers’ Party to the centre-right administration of Michel Temer, following the impeachment Dilma Rousseff – would reduce the country’s commitment to the BRICS coalition. But Temer has spoken of the grouping in favourable terms, and travelled to Asia twice in the first months of his mandate. Putting political differences aside, the BRICS bloc is joining together to work on policy. During the recent meeting in Goa, leaders decided to move ahead with the creation of a BRICS-led rating agency, based on the notion that the existing institutions – Moody’s, Standard and Poor’s and Fitch – unfairly favour Western countries and companies. There are four key aspects to keep in mind when considering the future of the BRICS coalition. The suggestion that the BRICS’ importance was overstated is simply naïve. The size of the original four BRICs economies, taken together, is roughly consistent with the projections I made all those years ago. Second, the BRICS grouping is producing significant benefits for its members by creating an important platform for policymakers. In areas such as urban planning, anti-terrorism measures, water management, coordination of policy positions and higher education, the countries face common challenges – but previously had few channels of communication with each other. Today, experts can regularly consult each other via working groups, and the New Development Bank helps coordinate debates about best practices in development. The group can also be seen as the first step to connect previously distant countries. While in decades past, the BRICS countries rarely coordinated their actions in multilateral fora, such as the United Nations or the International Monetary Fund, they now regularly discuss each positions prior to voting. Considering how limited relations between, say, Brazil and India have been historically, the significance of such coordinated action should not be overlooked. Third, Western international leadership is so deeply rooted and ubiquitous that people think of it as somehow natural. And this limits citizens’ capacity to objectively assess the consequences of its decline. The fact is, in the future, non-Western powers will continue to take on greater responsibilities – and they’ll do so without their Western peers. Chinese investment in Africa and Latin America, India’s growing military capacity and Brazil’s attempt to negotiate an Iran nuclear deal under former president Luiz Inácio Lula da Silva are all examples of this new multipolar reality. The BRICS bloc did not emerge because China, India and others sought to overthrow existing order. On the contrary, they are firmly committed to institutions such as the UN. But there is a strong feeling in Beijing, Delhi and Brasília that existing institutions have failed to adapt to a new global context and have been unwilling to provide emerging actors with greater space and power. For instance, despite years of promises about making the leadership selection process of international institutions more meritocratic, the head of the World Bank remains an American citizen, and the IMF is still lead by a European. 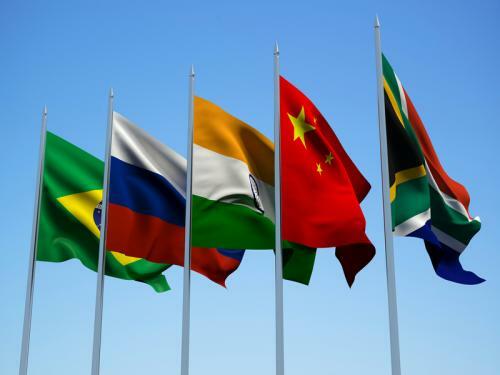 The differences and disagreements between the BRICS countries are real. Brazil, India and South Africa are democracies, while China and Russia have authoritarian leaders. Brazil and Russia export commodities, while China imports them. Brazil and India would like to join the UN Security Council as permanent members, but China and Russia are reluctant to support them. But it would be naïve to believe that these differences preclude meaningful cooperation. Consider Europe: Italian policymakers oppose Germany’s ambitions to become a permanent member of the UN Security Council, but both countries still cooperate on a range of issues. And Turkey was a key NATO member even when it was non-democratic. Indeed, tensions between BRICS members can even enhance the value of yearly summits, which provides a platform for problem-solving. If ten years from now the only thing the BRICS Summits have achieved is to reduce the risk of future conflict between India and China, it will have been a great success. For Brazil and South Africa, the summits provide unique access to leading policymakers and bureaucrats in Moscow, Delhi and Beijing, which has the potential for ample benefits in the coming years as power continues to shift towards Asia. All of this is to say that the BRICS coalition is here to stay. The transition to genuine multipolarity - of developing nations collaborating to have not just global economic impact but also military and agenda-setting capacity - will be disconcerting to Western powers. But a world with BRICS leadership may, in the end, be more democratic than any previous world order. Allowing greater levels of genuine dialogue and a broader spread of knowledge, this will help us find more innovative and effective ways to address global challenges.